Dress : c/o Lashes of London. 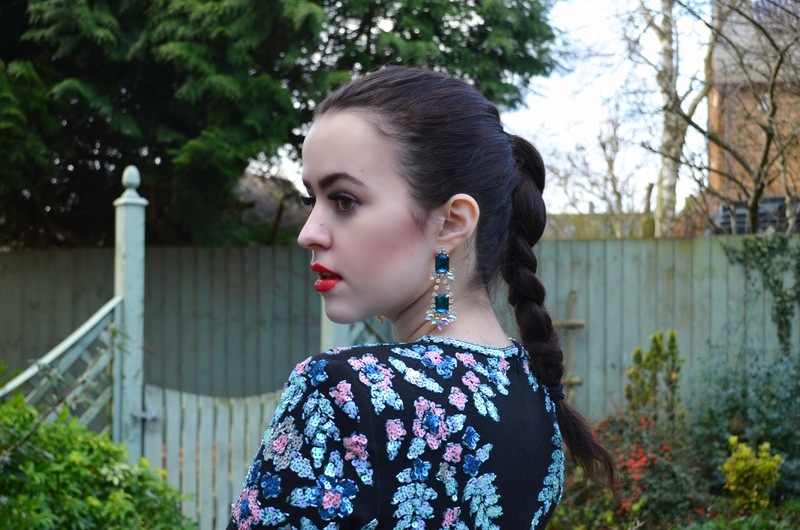 Earrings : Miss Selfridge. Shoes : ASOS. I feel well and truly inspired after the lovely reception I had in the comments, on Twitter & Instagram in response to my 'I'm back!' blog post. So, thank you to everyone who read, commented and took the time to message me, welcoming me back. 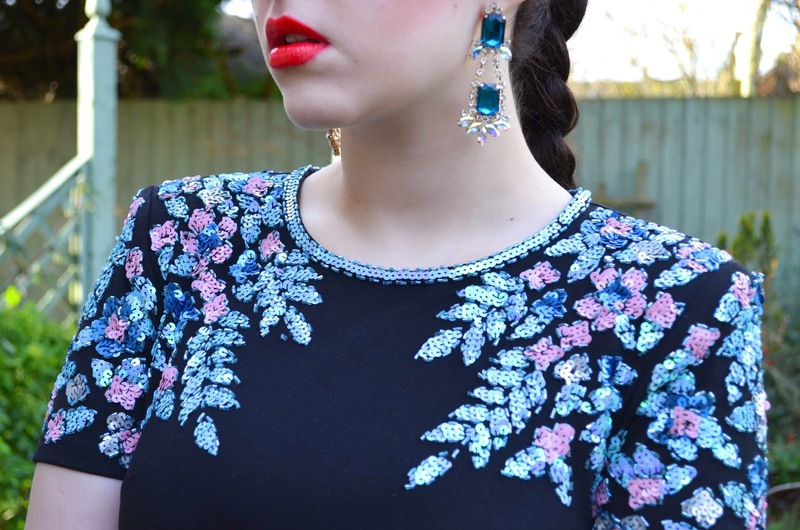 Today I'd like to share this dress, kindly sent to me by Lashes of London. I love the heavy embellishment on the shoulders. I just think it's utterly beautiful and wonderfully extravagant. Since moving in with my friends from university, I've had so many more opportunities to go 'out' ('out out' - not just 'out') and I've already worn this dress three times in the 4 weeks or so since it's been in my posession, which is seriously repetitive for me! It fits perfectly, and I'd be just as happy wearing it out for a few civilised drinks as I would wearing it to a rather less civilised club. In fact, I've done both. It's now found itself in the position of being my 'go-to' going out dress, which is odd as it's not really something that can be dressed up in massively different ways. I'm just THAT fond of it. 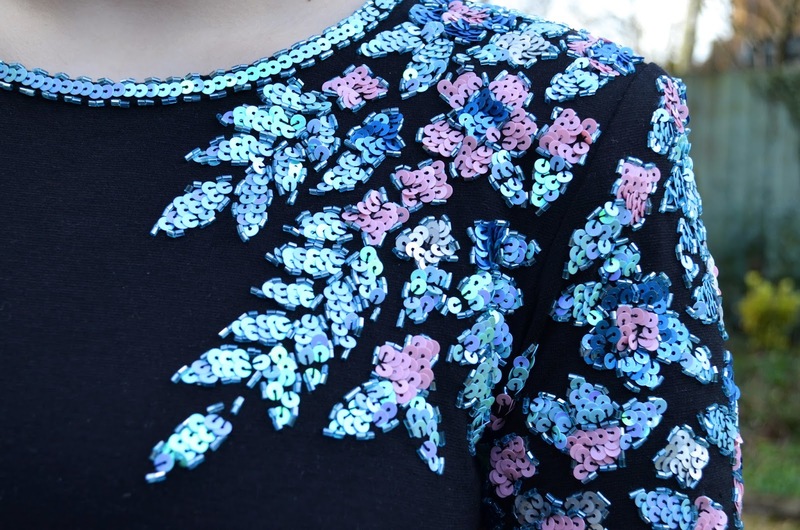 Do you have a particular go-to going out dress? 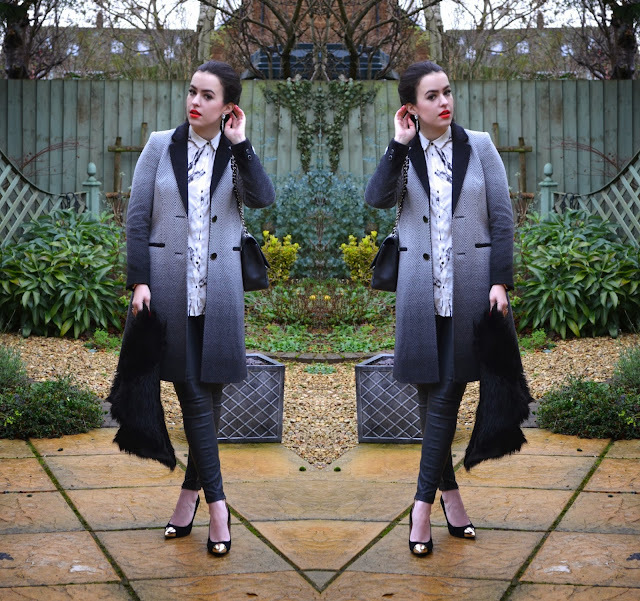 Coat : Jonathan Saunders for Debenhams. Shirt : ZARA. 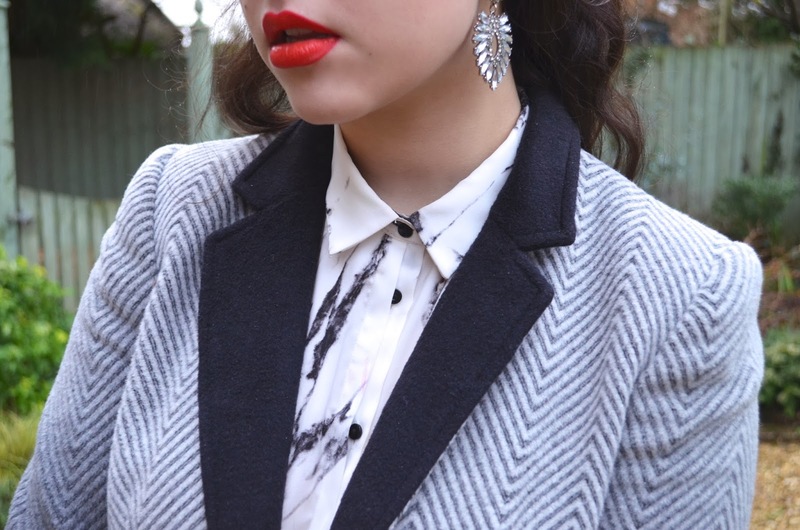 Trousers & Earrings : Topshop. Bag : Chanel. 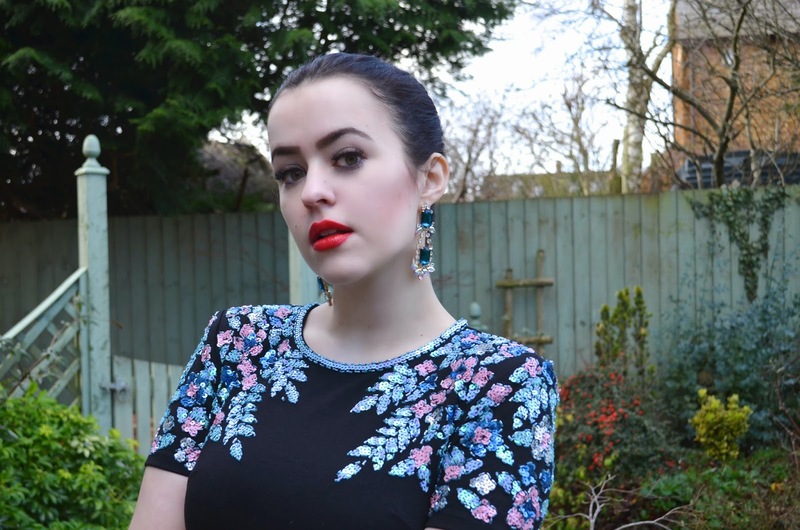 You may or may not remember me from a little style blog called 'Arabella'. I dissapeared for a bit didn't I? I won't bore you with the reasons why I was gone, but I will tell you that my passion for blogging remains unwavering and I'm back now, AND I promise to behave myself in the future. I'm starting this new year in a positive frame of mind and I've even got plans to make my first YouTube video. I feel like I've got an annoying voice and you all might hate and leave me upon hearing it... but please let me know if you'd like me to do this! Over the last 3 months I've accumulated a rather shamefully large amount of new pieces that I can't wait to share with you, although you might have already seen sneak peaks of some of it if you follow me on Instagram, where I've become rather a prolific user (@arabellagolby). The more beady-eyed amongst you might have noticed a subtle change to my hair; it's a shade or two darker and the dip-dye is gone. I can already tell I'm going to look back on my dip-dye in 20 years in the same way that people of a certain age look back on The Mullet; 'oh god why?' but it made me happy at the time so I won't regret it. 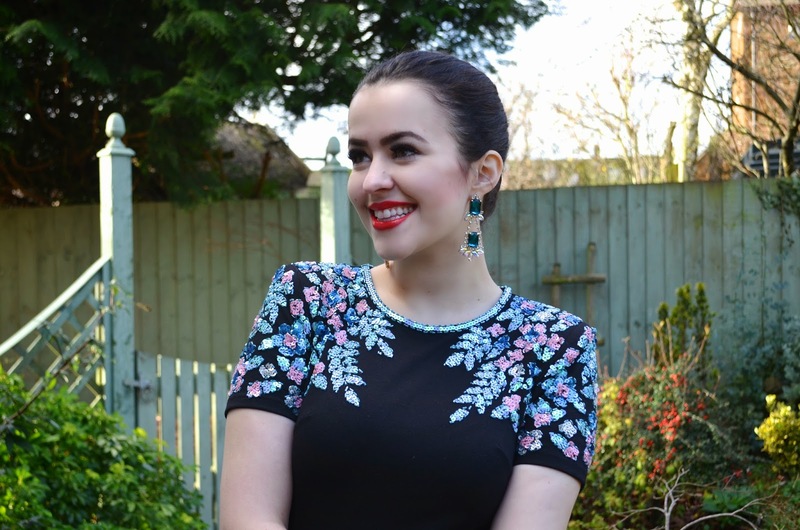 Finally, (here comes my emotional Oscars acceptance speech) I want to say thank you to those of you who've still been enjoying my blog while I've been away and those who (prepare to vom) 'stuck by me'. Sometimes the blogosphere can be a bit fickle, with people coming and going all the time. So, I feel grateful that while I wasn't posting I only gained followers. So whether you only followed me yesterday or you've been here since the beginning, THANK YOU. I truly appreciate you and I hope you enjoy this outfit.